Asthma is a common and sometimes debilitating condition that affects millions of humans every day. 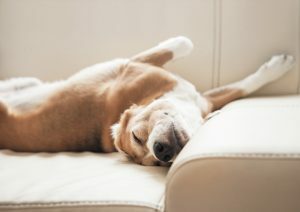 You may not know, however, that it is also a common problem for many of our pets. The month of May is National Asthma and Allergy Awareness Month. Asthma can be a scary condition and, if left untreated, can cause life-threatening complications. It is important to know the symptoms of asthma and to contact Veterinary Emergency & Critical Care if you suspect that your dog, cat, or other pet may be suffering from the condition. Below are some of the signs that your pet may have asthma.